Is Netflix Destroying Our Culture? Netflix. It’s impossible to not be familiar with the term by now, be it being one who has indulged in the practice or whose newsfeed was spammed with the famous Netflix and Chill idiom. The once DVD subscription based service has quickly (and somewhat frighteningly) taken over the internet as the powerhouse media streaming service. 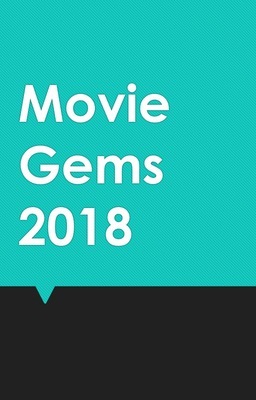 Producing its own movies and shows (more than 600 hours of original content is planned for this year alone) alongside the many already existing popular hits it offers on its platform, the company has made it easier than ever before to access a vast collection of entertainment at a cheap price, making it ever more appealing to skip the cinema and stay on the couch instead. And the effect is noticeable, with over 85 million people subscribed to the service according to CNBC. 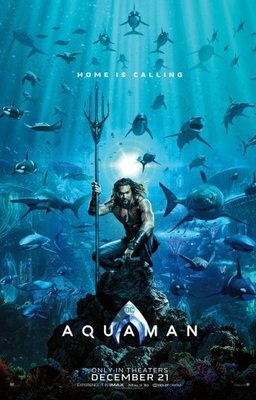 As ticket prices are on the rise and so too the quality of television, movie theaters have emphasized their efforts onto upgrading their rooms with the latest technology to offer the best audiovisual movie going experience. However, Netflix also poses another problem. With so much quality content at one’s fingertips, will one be truly capable of appreciating the quality of the content they are watching? It is no secret that Netflix has fueled an unquenchable ‘binge-watching’ culture whereby shows are watched by the season and Friday movie nights turn into Friday movie marathons. 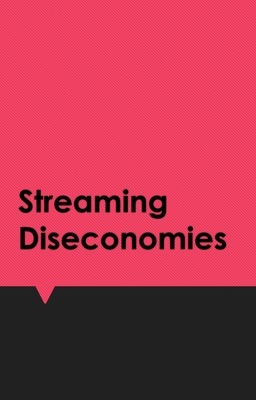 The so-called Netflix Effect is part of a greater economic theory known as creative destruction. Coined by economist Joseph Schumpter in the 40’s, creative destruction is the incessant product and process innovation mechanism by which something new replaces the obsolete and outdated. Creative Destruction is pretty much the beating heart of capitalism, fueling the process of innovation and growth, and Netflix has taken it to full effect. The movie releasing formula was a consistent adage-old feature whereby a movie would get released in the cinemas for a period of time before it arrived on the home screen. Now Netflix has effectively penetrated the monopoly that theatres once enjoyed, by providing a convenient platform whereby its users can get access to such an array of content and take advantage of one’s home cinema set up or just the convenience and money’s worth by not having to go out. While currently cinemas and streaming services like Netflix are at a period of co-existence, it cannot last forever, and by the look at the uncontrolled rate of growth Netflix is currently going at right now coupled with the theatre ticket price hikes, it looks like the streaming giant will turn cinemas obsolete just like it did with DVD rentals. However, Netflix doesn’t pose just a business problem, it promulgates an even greater cultural one. Encouraging the unhealthy binge-watching syndrome, Netflix has shaped its platform to accommodate the mass consumption of entertainment in relatively short periods of time. The vice president for original content at Netflix commented on recent findings from a study stating that users consume a new series in approximately 4 and a half days, and subsequent seasons even faster. No longer having to wait every week for the next episode to your favorite show, Netflix now releases them by the season leaving its users wanting more. It’s become a mass consumer drug really with a $8.99 a month prescription and the withdrawal symptoms are quite real. This erratic behavioral change has altered the way in which we perceive and appreciate what we watch, more frighteningly so for the developmental youth. Film student Clara Scholl at the Fine Arts Royal Academy of Ghent posits that “there is a ‘brain-emptying’ quality to binge watching that can be very relaxing and enjoyable after a long day but ultimately it takes away an important part of movies, which is their ability to make you think, and question”. Scholl encapsulates this idea as “You only see the movie, instead of living it.” If Netflix has become the fast-food of the entertainment, can one ever truly appreciate what they’re watching? Fargo composer Jeff Russo recently talked at the annual Film Ghent Fest about how watching series back to back allowed composers to play with subtleties that allow them to associate recurring characters with certain themes so as to create a sphere that the viewer can immerse themselves in, but if the viewer never truly appreciates what they’re watching then what purpose does it serve? Cinematography, body language, production designs, all the other small intricate details that define a film, will they be forever ignored over the remedial cheesy one liners and action-popping fight scenes that quench our binge cravings? It’s become socially acceptable to isolate oneself in their home and attach their eyes to the screen as they go through countless shows and movies, but in promoting this unhealthy culture we are subliminally accepting an individual’s detachment from reality into becoming reliant on these worlds of virtuality. There is no doubt that Netflix comes with its perks, pushing the standard of innovation and quality of entertainment which fuel the competitive industry and have given it its rightfully deserved name of king of entertainment distribution. However, this has come at a cost, a cost which strips away the style in how we watch and goes straight for the purity of the substance of what we watch. Are we really willing to kill the experience for the extra dose?